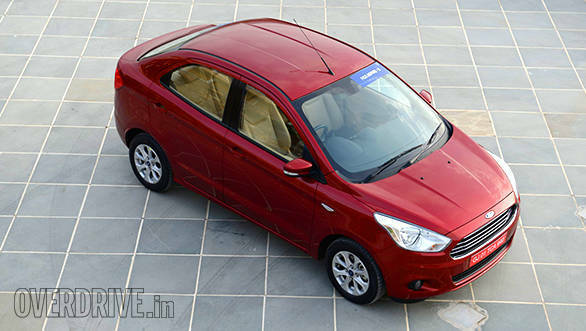 The compact sedan segment is growing at a rapid pace and no mass carmaker wants to be left out. Ford did make use of the sub-4m category by launching the EcoSport. It has done well for the company so far but that hasn't stopped them from introducing another all-new car. It is the second generation Figo with an added boot, the Figo Aspire. While the hatchback version will make it to India soon, it's the sedan that will first go on sale. We've just driven the Figo Aspire in Udaipur. Here's what we think of it. The Figo Aspire features Ford's Kinetic design language that aims at offering a premium and dynamic theme. The face is smart thanks to the bold hexagonal chrome grille, the four slats are spaced well and the car does look quite premium. The bonnet is well sculpted and features a prominent bulge highlighted by two vertical lines running from the Ford badge until the windshield. The lines even blend with the depression on the roof and add a lot of character to the car. The swooping headlamps are large and it looks like an evolved version of the current Figo unit. A lower grille neatly integrates with the bumper while the latter houses circular fog lamps as well and features a few definition lines. The side can be bland but the headlamps and the prominent shoulder line do add some flavour. A chrome insert has been used in place of the indicator on the fender. Seen here is this is the top Titanium variant so it gets indicators mounted to the mirror, the lower variants will probably feature it on the fender. The window line raises as it flows to the rear and another line runs parallel to it on the body. 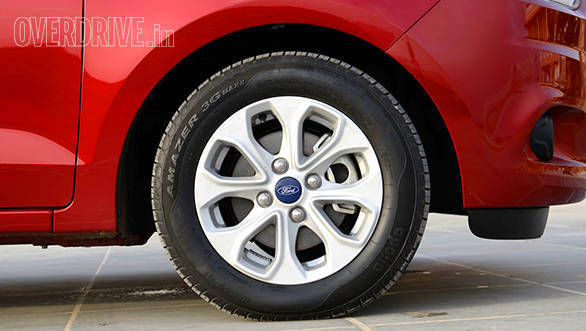 The 14-inch 8-spoke alloy wheels looks stylish and go well with the overall design. The wheel fills up the arch quite well. The tail lamps are visible from the side too. To keep the car under 4m in length, the rear end had to be shortened and it is quite obvious from this angle. Like most compact sedans today, the short rear end gives the side a disproportionate look and is more hatchback than sedan. The rear is a smart design too. The D shaped tail lamps look striking but don't feature LED lighting. 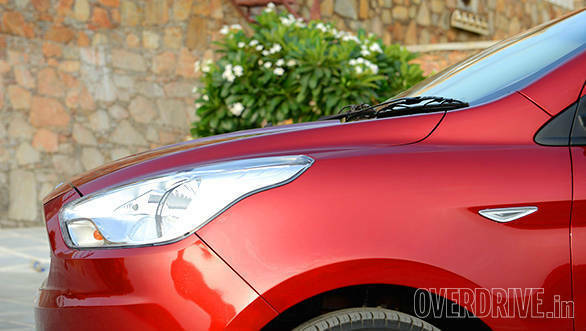 Like most of the compact sedans today, the Figo Aspire also gets a chrome strip that runs across the width of the car. However, the strip would have merged better with the reverse tail lamp section if it were slightly thicker. As mentioned before, the rear has been shortened. As a result, the bumper is almost fully flat. A black insert and a few creases on the bumper add to the styling. Step inside and one is greeted by a stylish interior. 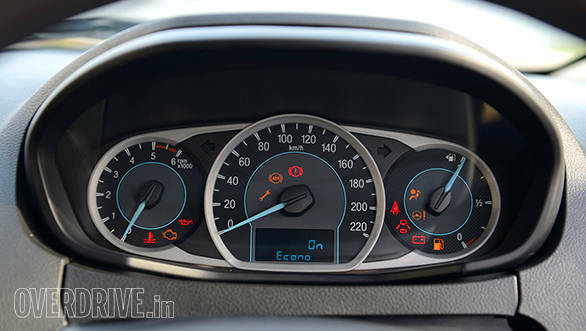 The dashboard seems familiar because the design theme is similar to the EcoSport. 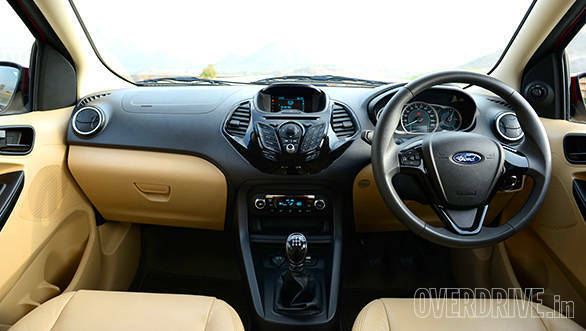 The steering wheel, centre console and information screen look very similar to the EcoSport and Fiesta. There are dual-tone black/beige dash and beige seats and door pads. Depending on the variant, there's either gloss black or silver finished inserts. Ford claims there are as many as 20 storage points inside the car. 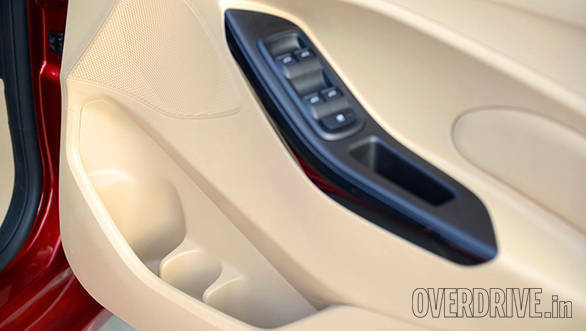 There's a storage point on the side of the dashboard that can be accessed when the door is open. Door mounted bottle holders are large and can accommodate more than one bottle if needed. The seats are comfortable and even feature leather upholstery (first in segment). 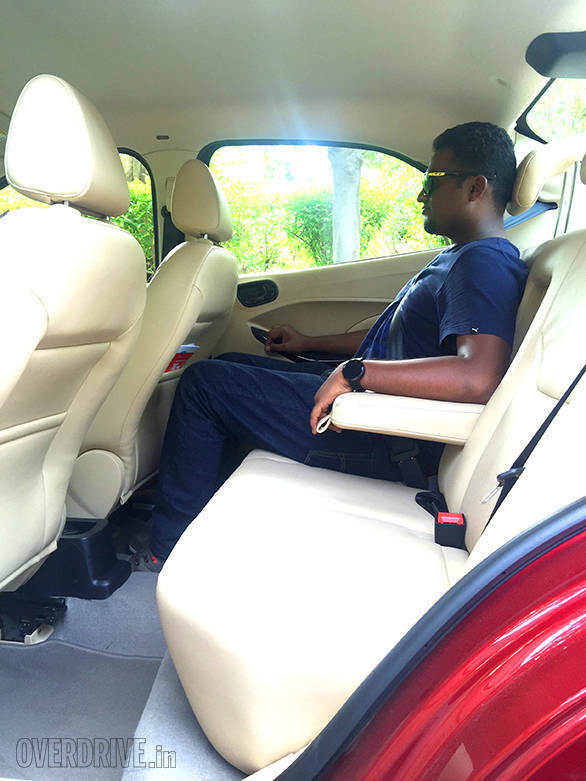 There is good support up front but the rear seats could have offered more support and could have been made larger. The rear kneeroom isn't best in segment but is still very impressive. The front seats have been scooped out to maximize room at the rear. Shoulder room isn't a lot, so three adults in the back can be a squeeze. The floor isn't fully flat too so it is good only for two adults. A rear armrest is also offered. 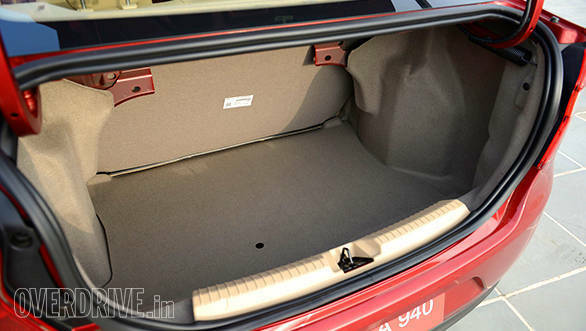 Boot space at 359 litres isn't as much as the Amaze or the Xcent but it is quite usable. The loading height is good and the boot is deep too. The Figo Aspire is available with three engine options. A 1.5 TDCi diesel and two petrol engines (1.2-litre and 1.5-litre Ti-VCT). 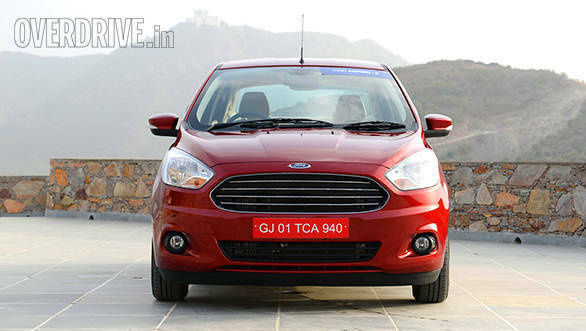 The diesel motor is from the EcoSport and Fiesta but has been tweaked to offer more power. 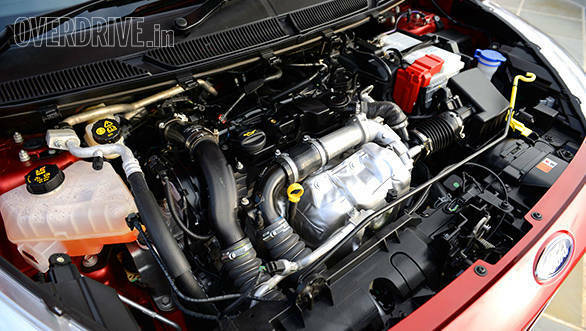 The engine now produces 100PS and 215Nm of torque and is mated to a 5-speed manual transmission. On the road, the engine feels linear and breathes well. There is not much turbo lag and there is a good surge of power when it's demanded. It is slightly noisy at idle and lower speeds but as the revs climb, the clatter settles and feels a lot more refined than a few of the other cars from this segment. Gear shifts are smooth too and the ratios are spaced out well, making full use of the impressive torque. The claimed fuel economy figure is an impressive 25.83kmpl. The petrol 1.2 motor is a heavily tweaked engine seen in the current Figo hatchback. The engine now receives variable valve timing on both the intake and exhaust sides, apart from other updates. The Ti-VCT (as it's called) engine produces 88PS of max power and 112Nm of torque. This engine is mated to a 5-speed manual transmission. 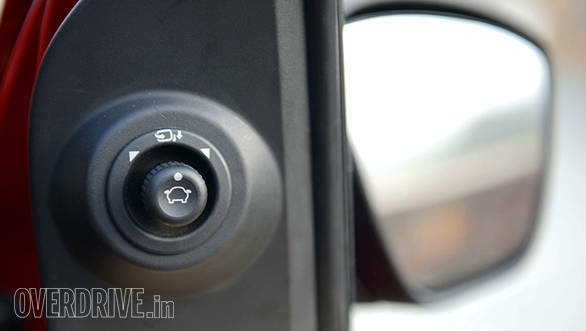 The automatic transmission variant however gets the larger 1.5 Sigma petrol also seen in the EcoSport. The unit produces 112PS and 136Nm of max power and torque. This variant even features ESP, traction control and hill launch assist. The hill assist system basically prevents the car from rolling back by applying the brake for a few seconds. The claimed fuel economy figures are 18.16kmpl and 17kmpl for the 1.2 and 1.5 variants respectively. The Figo Aspire is based on a modified Figo platform. The latter is essentially the older Fiesta without a boot and is known for its dynamics. The Figo Aspire seems to have carried forward this character and thus makes it one of the best handling cars in this segment. It features a new electric steering seen in the EcoSport and Fiesta that is a lot lighter in feel and can do with some more feedback. The chassis however is well balanced and the car is great fun to drive especially around corners. The 14-inch Apollo tyres are quite grippy too. It even rides well over bumpy and broken roads. In fact, it may be the best in segment too (we will confirm that very soon). There isn't much suspension noise and the car feels well planted. Every car from this segment offers something unique. 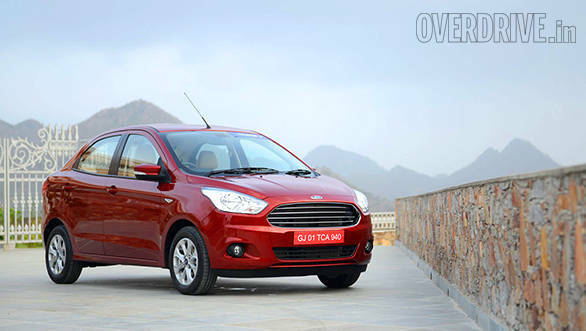 Ford has taken its time to enter the segment and has thus made sure the Figo Aspire offers a long list if features and equipment. 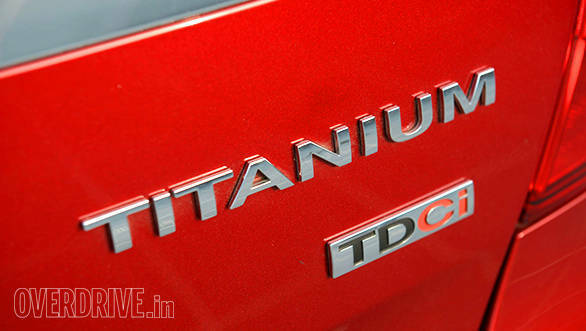 The car will be available in four trim levels namely  Ambiente, Trend, Titanium and Titanium+. The Ambiente trim offers a dual tone interior, adjustable front and rear headrests, front power windows, tilt adjust steering, multi information display, keyless entry, electric boot release and driver and passenger airbags. The Trend adds front fog lamps, gloss black elements, rear armrest, steering mounted controls, rear power windows, mobile phone dock and a Bluetooth stereo with four speakers. 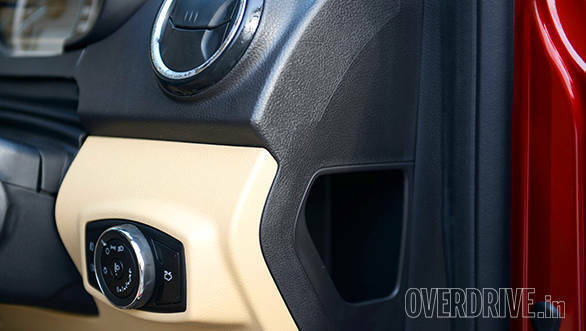 The Titanium trim also gets auto climate control, power fold mirrors, ABS with EBD and an adjustable driver seat. The Titanium+ is the fully loaded variant and it also gets segment first leather seats, the 4.2-inch information screen with the Sync feature, CD player, side and passenger airbags (very impressive and first in segment but passengers don't get grab handles), Ford MyKey (a programmable key that when used can limit speed and stereo volume level). All trims will be available in seven different shades  Ruby Red, Sparkling Gold, Oxford White, Tuxedo Black, Deep Impact Blue, Ingot Silver and Smoke Grey. Optional accessories like illuminated scuff plates, rear parking sensors (should have been offered as standard), mirror mounted reverse camera and GPS, ambient lighting and shark fin antenna will also be available at Ford dealerships. 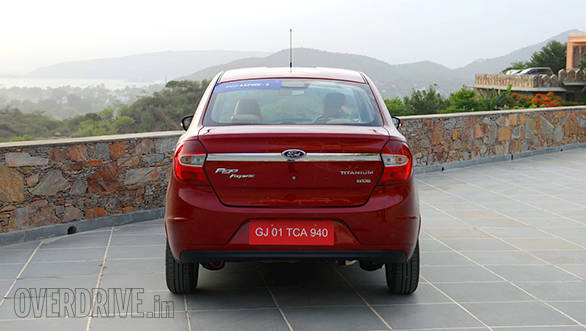 The Ford Figo Aspire arrives late to the party but has the potential to do well and appeal to a lot of compact sedan buyers. The car looks smart, is good on quality, drives well, offers powerful and efficient engines and most importantly, gets a long list of standard safety and comfort features. 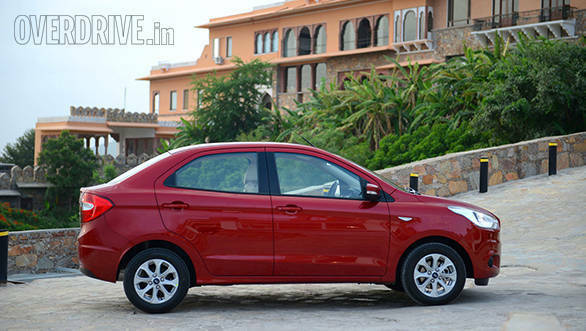 We expect Ford to also price the car well, more on par with the segment rivals. The Figo Aspire goes on sale in August.